We are a leading Wholesale Trader of uinfinity - body massager chair, osim ulove massage chair and udiva2 massage chair from New Delhi, India. OSIM uInfinity – the world’s most innovative massage chair, featuring the groundbreaking Human-Smart Massage Technology. Comprising a potent combination of three complementary innovations, the Human-Smart Massage Technology not only delivers the most humanized massage feel, it is able to renew the uInfinity constantly, by downloading future new massage programs into the chair, indulging you and your family with endless massage pleasures and well-being. The OSIM uInfinity understands everyone in the family has different needs and wants when it comes to getting a really great massage. Going beyond just physical comforts, the OSIM uInfinity innovates at the massage program level, to present the most unique and customer-oriented suite of Lifestyle Massage Program sever, designed to serve the diverse lifestyles, professions and needs of the user and family. These automatic Lifestyle Massage Programs are tailored with a single purpose – to satisfy, by understanding who you are, what you do, and what you need. Coupled with the power to download even more massage programs in future, the OSIM uInfinity is the ultimate investment in your family’s well-being. The OSIM uInfinity harnesses the power of the human touch. It’s the most humanized massage chair, with an intuitive and comprehensive system of automatic and manual massage options designed to please, anywhere you want it, anyway you want it. Enjoy a full-body pampering, or focus on a spot massage, the control is fully yours. 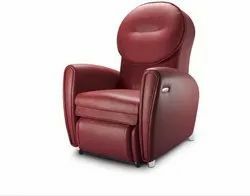 The world’s most pampering massage chair combines three complementing elements to deliver an exceptional experience that tantalizes and satisfies all the senses. Pampering massage from mind to body, head-to-toe Immersive Audio System for deeper mental relaxation The ideal positioning of speakers within an intimate chamber creates an immersive audio experience with enriched timbre and delightful virtual audio effects. Full-Body Relief Retreat into the privacy of your intimate space; calm your mind with your favorite music to achieve a deeper state of relaxation for your mind and body. 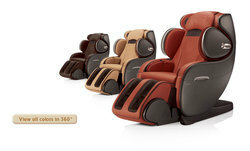 Looking for Full Body Massage Chair ?